Yeah! It's not a joke! - Enabling the Mydean player sometimes (it happened to me 2 times over 20) the unit hangs and need to reflash the firmware, so be sure you have the fw for your unit available. - In the previous release there was a bug in my radioeditor script that create a wrong skin folder in the unit, resulting that you have installed a skin even if you didn't. To remove this problem you'll have to use the skintool function "Restore original skin and delete others" or reflash the firmware. - When using radio editor, be sure you have the correct date and time set on your system because I use it to store your favorite stations in your Language file and copy it over all skins. UPDATE: I just uploaded a 02.04.2015 small fix for radio editor and 12 buttons mod, if you have downloaded 01.04 version, just apply the patch to the skinmanager folder on your sdcard overwriting the files. Kotix Hello , first of all you have done a great job. 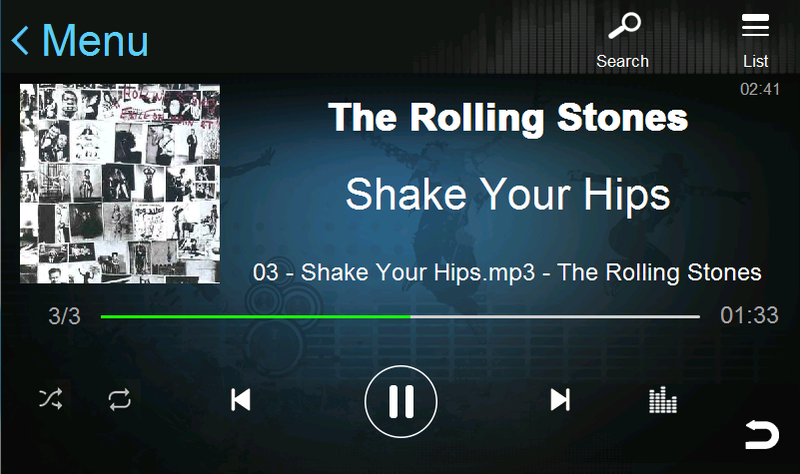 I downloaded the latest version and wanted to know how to change the radio list displayed. I have on my device ST1 ST2 etc .. Thanks for your help. Select the station to modify, hit the pencil icon and move down the keyboard or you cannot see under it. To move just slide it down holding your finger on the top row. kotix hello, I am unable to apply the mydean player does not appear the option to apply it .. You podeira develop a skin for nitrogen player similar to mydean? Will come a new skin for standard player, I'll see if i can make a nitrogen version too. Ciao Kotix, my winca firmware version is 1.1.9.1 (Hyundai Santa Fe / ix45). I just want to make sure your skins will work before purchasing it. As far as I know, in the firmware version (i.e. 1.1.9.1) the most important part is .9 (in my case) which is the 'bug' version. The other components in the version number tell about CANBUS, language, and UI. Since your skins and software don't touch those, I'd be safe. Can you please confirm these skins will work with firmware 1.1.9.1? unfortunately your fw version is not enought, you need at least 1.7.9 for Carplay, anyway look on roadnav forum for a fw for your model. My language is English or Spanish. May I try part of the carplay skin or part of the others on my winca 1.1.9.1 and see whether it works or not? I really want to have a skin other than the default one which is uuuugly, and yours seem pretty cool. Hi KoTiX, what is the difference between MyDean and standard player, they look quite similar and I like the fact that I can choose between these two players to have 2 different skins. MyDean as you can see has a bigger Listview that normal player cannot have, the progess bar is centered that let me skin it better. Btw it's a bit hard to go back from list view to player and sometimes it hangs using search, the rest is the same as original. As I said, you need firmware version 1.7.9 or newer for my skins to work properly, they will not work with the one you have now. I don't have a partial skinpack, just choose the one that better suit your taste or buy the full one. If I buy the standard skin set of yours, and it doesn't work on my head unit, can I get my money back? You have a c209 unit with standard MCU and standard interface. I ensure you that it will work, but if you are too scare to loose your money just don't buy it. There is any update for my carplay skin instaled in 1.7.9 firmware? If Yes, how can i update it? Delete the skinmanager folder in your sdcard and put the new one in. Start skinmanager from sdcard and it will autoupdate, then update Carplay from skintool, re-apply the patch if you use the radioeditor mod. You download it from the same dropbox folder that you have received the link when you bought it. The dropbox folder that i received the link when i bought it, says it was moved or excluded. Can you send me the new one please? Dear kotix, my radio stations buttons are becoming blank after some use (one by one). Anything to do with the 02 april patch? Also, here in Brasil we have a problem with radio station names sent, like you mentioned some posts before. Maybe it.hás.spmething to.do with it. Maybe it's changing Radio.DB in a way that the shortcut buttons become blank? If you are not applying the patch it has nothing to do with my skins or mods. As it does that in original skin. I apllied the patch. The radio stations shortcut buttons work for a while, but after some use they are deleted and become blank... They disappear even in the radio.db editor. Any idea? 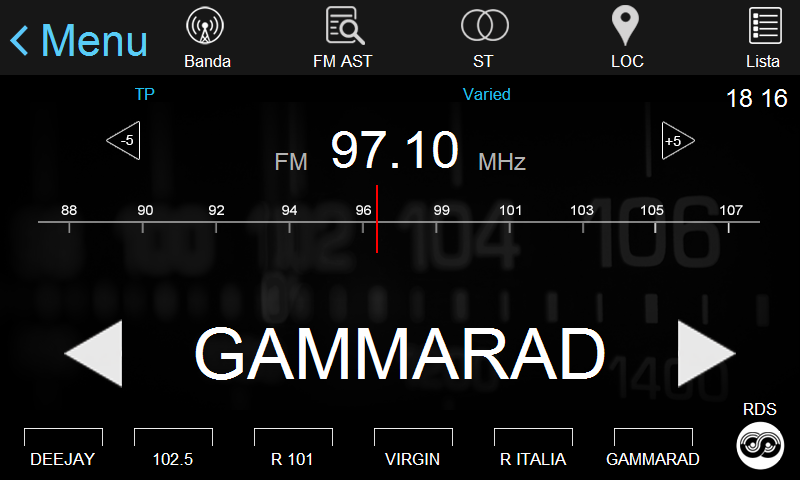 It is not a skin issue, it is something related to the radio.dB or the txt file. I sent you an email 3 days ago on your outlook account, now I sent another one on this one. Sent again to the email used for payment. I have not the skill to modify the nitrogen source code BTW in my next release there will be a patched version of the original audio player to make it show embedded and jpg album art. It will also have the same skin I did for mydean player. It's the best we can have right now. Amazing! Thanks KoTiX, will be waiting for the next release. Hi Kotix, I have a CM Winca upgrade from S100 to S150 android 4.0.3, do you have a Skin Carplay for android? No rubem, I'm not working on android anymore. I Kotix, I can not flash the card to downgrade from S150 to S100 with sdboot as your tutorial, would have another way to downgrade? I would buy the skin carplay, but I need to do the downgrade to S100. It depend on the firmware you are running now, please send me an email. I really appreciate your help to downgrade from S150 to S100 and install the carplay skin, the skin running 100% on my multimedia, I hope we have more jobs for this skin with many upgrades. hello Kotix, congratulations another time for you work. I usuali use the Dark Orange Skin and i usualy use too the Nitrogen player because have a skin some similar like yours Dark Orange but i have problems with the nitrogen player, sometimes make a extrident noise and when i put the Igo navigator sometimes when one song ends don´t continue with the next. Sorry Skin 3 is Dark Red, i want a skin for My Deam in this colours or style. Due to original firmware upgrade, do I need to revert all your patches to the original look, or I don't bother, then go ahead please? I'm concern about your versions difference for different firmwares to avoid to be into any bootloops, never ending crashes etc. The firmware upgrade will erase all the skins and patches, so it doesn't matter. Thanks, that was just plug and play update from 1.7.9 to 1.10.9, then patching your stuff no probs. Anyway can you see any benefits comparing old to the new firmware which runs with your Skinpacks please? I don't see any relevant benefit but I can't keep updated al these versions of skinpacks so the next update will not include the 1.7.9 version. PS. Wince can handle only 256 MB of RAM. I need to know before purchasing if these skins work on my S100. My skins will work but you need first to update your firmware to at least 1.7.9. Go to www.roadnav.com and look for the wince firmware for youe C206 model, read the instructions of how to update the firmware, look on youtube some videos of the update procedure. Once you have a recent firmware you'll be all set for my skins. Hi, thank you for your skin, everything works and looks great! I have one little question about custom buttons. 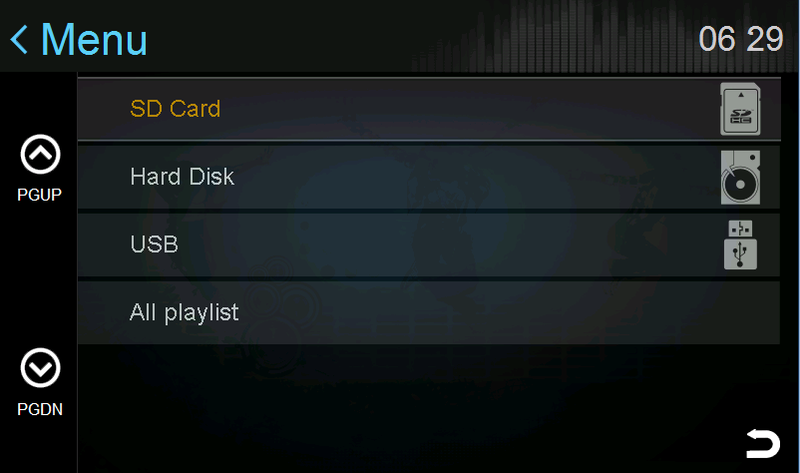 I don't use DVD at all, so, is it possible to open Audio Player pushing DVD hardware button? Go in skinmanager->customizations and use the "change buttons functions"
Is there a way we can explore m3u playlists on nitrogen player? So we can search a specific song while music is playing. For example if you have a 100 songs playlist and you want to listen to song 50 you have to skip song by song instead of see the list of songs and select the song that you want. Thanks in advance and good job on CarPlay skin. What i have to do, too see the Covers in NitrogenPlayer?